The Larry Sanders Show: "The Party"
“The Talk Show” opened with Larry and Jeannie arguing backstage while he looked over cue cards, and “The Party” begins with a callback to that moment. Only this time, Jeannie and Larry aren’t arguing, and the uncertain look on their faces that ended “The Talk Show” is replaced with smiles. The storm facing their marriage during “The Talk Show” has seemingly passed—and the comfort that development brings unfortunately leads them right back to a bad place by the end of this episode. Larry, unable to deal with the prospect of dinner with only the two couples, invites Beverly to help relieve some of the tension. Larry and Artie are very close, so it’s surprising that Larry would need a buffer, but I think it has more to do with the situation: Larry and Artie one on one are fine, but Artie, his wife, and Jeannie makes Larry very nervous. However, he makes a critical error by not realizing the ripple effect caused by inviting Beverly. 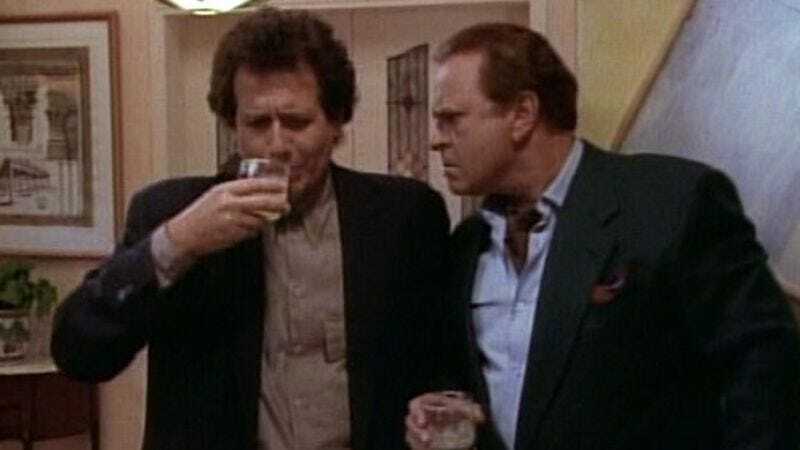 In the nearly 20 years since it aired, “The Party” has earned a place in the pantheon of great episodes of The Larry Sanders Show, largely for its fantastic second half when the action shifts to Larry’s house and plays out exactly as he’d feared. Artie is not only pounding Salty Dogs but also insisting Larry drink them, and Jeannie is overly familiar with the guests, making the problems in their marriage apparent to everyone. Those two aren’t a big deal, but it’s when she interjects as Hank tells the origin story of “Hey now!” that she puts her foot in her mouth. Sure, her suggestion that Hank try “C’mere!” as a “Hey now!” replacement is dumb, but she makes a huge mistake by following it with “That’s what you can use if the show goes off the air.” She may talk about “whatever” during her parties back in Chicago, but she crosses a line here. Not only does she fail to recognize that, but she digs herself deeper by casually mentioning Larry’s dream of quitting show business and moving to Montana—to people who depend on him for their livelihood. The next day, Larry sheepishly walks through the office, painfully aware that the worlds he fought so hard to keep separated have irreversibly collided. But at least he can always count on the phoniness of Hollywood to sweep it all under the rug, as everyone tells him how much fun they had. “It was great!” Larry says. • The end for Larry and Jeannie is nigh—but we won’t get a sense of that just yet, because “Warmth,” the next episode, doesn’t address it at all. 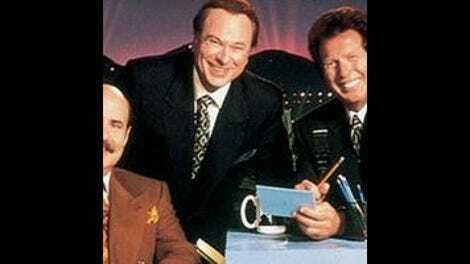 As Garry Shandling mentions in the featurette that accompanies the DVD of the first season, the episodes weren’t shot in order, so plotlines don’t necessarily follow from one episode to the next. • Poor Paula. No one’s wardrobe from this show has aged well—though Artie’s suits have that timeless businessman quality—but “The Party” is particularly rough on Janeane Garofalo. I said “What is she wearing?” twice. • “Your house? What is that, a new Chinese place?” I think Mel Brooks did some uncredited script work on this episode.